The solid earth science group studies the physical and chemical state of the crust, mantle, and core on a variety of temporal and spatial scales. We seek a quantitative and comprehensive view of the Earth’s present state and the processes by which it evolved, and of the interacti ons between layers. 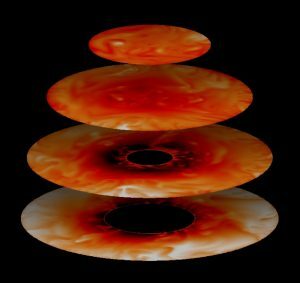 Among the phenomena we study are earthquakes and volcanoes, crustal deformation and the evolution of surface topography, the thermal state and material transport in the mantle, the formation, evolution, and subduction of the oceanic crust, core dynamics and the generation of th e Earth’s magnetic field. To understand this complex system we use a wide variety of approaches, including continuum mechanics, geodynamics, theories of fracture and failure, studies of topography, structural geology, petrology, crystallography, geochemistry, theoretical and experimental high pressure-high temperature mineral physics, magneto-hydrodynamics, seismic tomography and waveform inversion, earthquake source theory, large scale numerical simulation, analyses of large datasets on a global scale, and field studies. We are studying the solid earth using the above wide variety of approaches and viewpoints with the goal of achieving a unified and comprehensive understanding of its evolution. Our group has chosen to focus on the following four areas: Earthquake Science (phenomena on time scales from seconds to hundreds of years associated with earthquake occurrence), Tectonics (in particular, phenomena on times scales from hundreds of years to millions of years occurring at convergent margins), Evolution of the solid Earth (chemical and physical phenomena on times scales from millions of years to billions of years involved in the formation and evolution of the Earth as a whole), and Dynamics of the Earth’s interior (the state and structure of the Earth at present). We discuss our efforts in each of these four areas in detail below, as our scope of research. 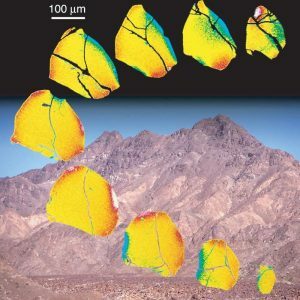 We conduct research on the quasi-static buildup of elastic energy and stress, pre-seismic acceleration of slip on faults, the occurrence of large earthquakes and radiation of seismic waves, after-slip, recovery processes in the fault zone, and stress redistribution due to relaxation in the asthenosphere. By understanding these processes on a variety of spatial and temporal scales we will improve our understanding of the earthquake occurrence process as a complex system and obtain reliable statistical models. On the basis of the above research we will evaluate the predictability of 13 earthquakes. We seek unified and quantitative understanding of subduction-related orogeny, continental collision, and back-arc spreading, considering the interaction between endogenetic processes caused by physical and chemical reactions within plate boundary zones, and exogenetic processes (such as erosion, transportation and deposition) that are controlled mainly by climate. 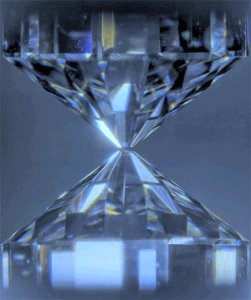 We seek an understanding of the differentiation of materials and the formation of the structure of the Earth’s interior, particularly of the crust and core, and of the energetics an d mechanisms of material transport processes, and of the interactions between the surface and the crust, the crust and the mantle, and the mantle and core. Through our study of the above phenomena we will contribute to achieving a unified and quantified model of the thermal and chemical evolution of the Earth from its formation to the present. By analyzing data on a global scale, conducting large scale numerical simulation, and carrying out leading-edge laboratory experiments we seek an understanding of the present state and evolution of the crust, upper mantle, transition zone, lower mantle, and outer and inner core. 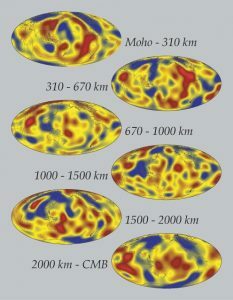 We particularly focus on the interactions between the various layers and on elucidating the heterogeneous properties of each layer, from thermodynamic, geodynamic, electromagnetic, and material science viewpoints, with the aim of synthesizing these analyses to obtain a unified understanding of geodynamics.